Our March 2018 workshop is here! 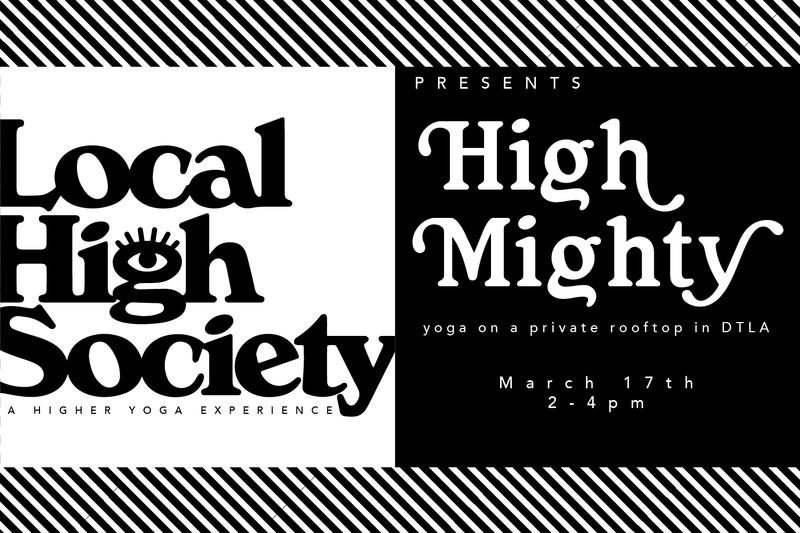 Come hang out with your friendly neighborhood Local High Society on a private rooftop garden in the heart of Downtown LA. We will gather in a cannabis circle, sample infused treats, set our intentions, and yoga overlooking the DTLA skyline. Come fly High and Mighty with us! 🦅 Bring your crystals, stones, mala beads, journals, trinkets... anything that can help you set your intentions and guide you spiritually. This is a mixed-level vinyasa class. •••Very limited space of 15••• •Must be 21+• Please note, tickets are non-refundable. Must pre-register, no tickets will be sold at the door.